A rebate to help equip your home with solar water heating, and save money off your energy bill. Lisa wanted an affordable way to reduce her dependence on electricity and be environmentally friendly. I was looking for ways to save money and be environmentally friendly. After getting pre-approval, Lisa had 12 months to buy and install her solar water system. Circulating in a closed-loop system, glycol is piped to the solar panels in the roof. Once heated, the glycol transfers its warmth through a heat exchanger to the water in the solar tank. The heated water feeds into the electric-heated water tank and is piped from there to the home’s hot water taps. Efficiency Nova Scotia’s rebate helped Lisa acquire a solar-heated hot water system big enough to meet the hot water needs of a family of four, most of the year. 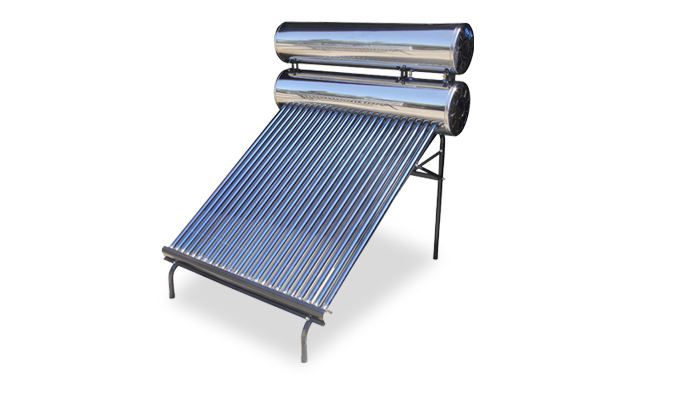 Learn more about Solar Water Heating Rebate.